Just heard about "Let's Cook" a new White House video series hosted by Michelle Obama's Let's Move campaign, which is set to launch today Tuesday 7/13/10 at 10am via webcast. 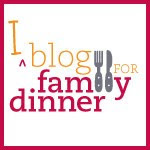 There is a preview here at the Obama Foodorama Blog. Such a great idea. 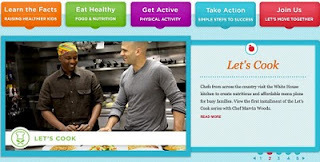 From the start, I've been hoping that the Let's Move campaign would take a broad view of health and combine its message to be about both staying active and eating right. Teaching kids, and adults, how to cook healthy foods and empowering them to actually cook for themselves and their families is an important step. Nonetheless, cooking basic meals is an essential life skill. I know my experience cooking for my family as a teen (my mom worked in a restaurant on the night shift) was instrumental in giving me life skills in the kitchen and beyond. My son does like to make breakfast and will often make himself or his crew of friends that slept over a big breakfast of eggs and whatever else he can scrounge up. It’s a start. Cooking doesn't have to be set up as a chore (that goes for parents and kids), even though it's something to "get done." Find some joy in learning a new skill or just getting a dish to the table, be it something new or an old standard. Bon appetit!